I am buying a property from an Overseas Citizenship of India (OCI) card holder who maintains “resident” status in India. Based on this, he claims that the TDS (tax deducted at source) should be 1%. But that is applicable only for an Indian citizen. He holds a Canadian passport and runs a business in India by maintaining resident status. What are the relevant laws regarding this? Under the India Income-tax law, if the seller of an immovable property (other than agricultural land) qualifies as a “resident” of India during the relevant financial year (FY), the buyer is required to deduct TDS at 1% on the sale consideration only if it equals or exceeds ₹50 lakh. The above provisions are not linked with citizenship or the passport of the buyer or seller. An individual may qualify as “resident” of India during the relevant FY if any one of the following conditions are satisfied: a) Physical presence in India during the relevant FY is 182 days or more; or b) Physical presence in India during the relevant FY is 60 days or more and 365 days or more during the four FYs preceding the relevant FY. In your case, assuming the OCI card holder is satisfying any of the above conditions, he will qualify as “resident” in India. You are required to deduct TDS at 1% if the sale consideration equals or exceeds ₹50 lakh. Since the buyer is not privy to data of the seller’s physical presence in India and in some cases even the seller may be unaware of his residential status, which depends upon a person’s stay in India during an FY, the buyer has to ordinarily rely on the seller’s representations of his residential status which may be incorporated in the sale agreement. Depending upon the commercial negotiations between the parties, the buyer and the seller may incorporate clauses in the sale agreement to indemnify the buyer in case of any TDS non-compliance. From compliance perspective, if the seller qualifies as a “resident” in India, you will need to do the following: a) Collect PAN of the seller (verify with original PAN card) and verify validity on the income tax department portal; b) Deduct TDS at 1% of the sale consideration; c) Deposit TDS (either online or offline) through Form 26QB (within 30 days from the end of the month in which deduction is made); d) Generate Form 16B (withholding tax certificate) from TRACES website (tdscpc.gov.in) and share the same with the seller. There are different TDS provisions in case the seller qualifies as a “non resident” of India. 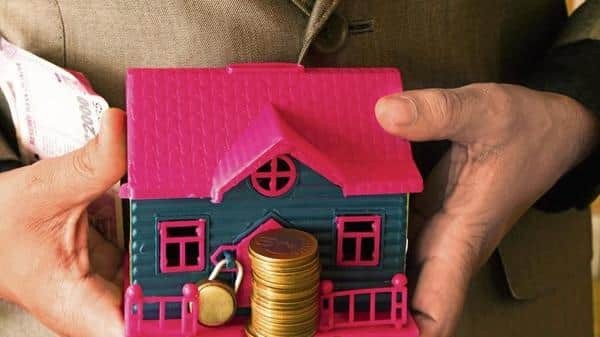 The TDS rate will be 30% or 20% depending on the holding period of the immovable property along with other regular TDS compliance provisions. The buyer or the seller may also approach the income-tax officer for lower withholding tax certificate.